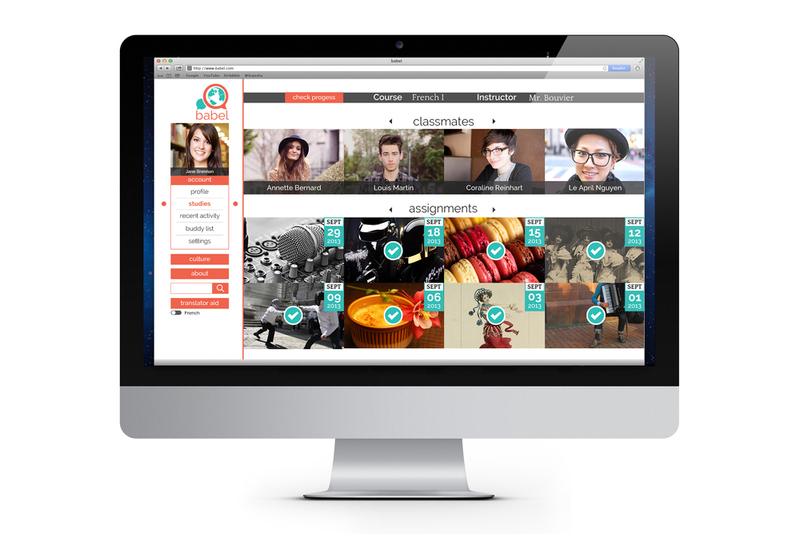 An online system designed to encourage an educational experience that is both interactive and engaging with language learning and cultural studies. My design focus was on the logo, desktop / web interaction, iphone speculative scenario, and motion graphics. The video was collaborated with Jessie Selz; her focus was on the videography, iPad scenarios, and iPhone study guide interaction scenarios.